Quick, some of the festivities end tomorrow! Get in before it’s too late. Although some might say it’s never too late for Oktoberfest. At least, that’s what they wish. Or perhaps it’s not just wishful thinking…Some of these institutions celebrate all year round. Indeed, that is what is in the mind of the brains behind the Reichenbach Hall. The Rechenbach Hall is making a meal of Oktoberfest as it were. Utilizing the entire month of October, along with its 5,000 square footage of space, it will be offering 14 German beers on tap as well as pretzels, bratwursts (aka German sausages) and other nibbles on its smorgasabord. Next up is the Loreley Restaurant & Biergarten which is taking Oktoberfest to a completely new level. Instead of just enjoying celebratory beer for a month, this beer garden seems to make it a year-long event, with more than 12 German beers on tap, a wide selection of bratwursts and a comfortable back yard. 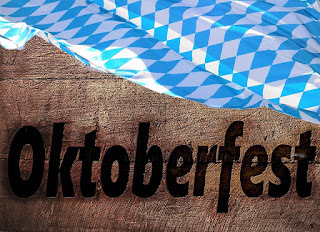 These are just a few of the exciting events those in Midtown Manhattan can expect to enjoy during Oktoberfest. There are many more in the area too, including Bohemian Hall & Beer Garden and the Standard Hotel. So, for those who like a bit of fun with their beer, this is the place to be.